Leo Messi tends to provide moments of magic against just about every team he faces, but with Athletic Club he seems to have a particularly special connection, and even more so at the Camp Nou. From his very first season in 2005/06, Messi scored the winner in a 2-1 victory, and has since gone on to be a constant thorn in the Basques’ side. 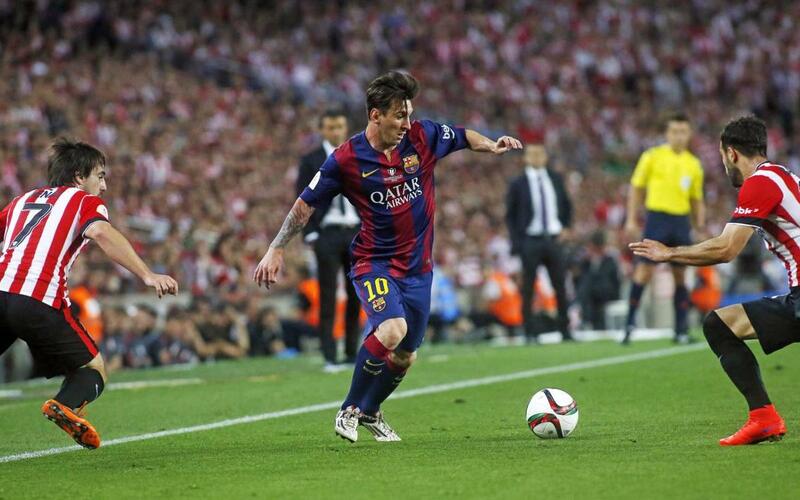 Across La Liga, Copa del Rey and the Spanish Super Cup, Messi has played 16 times against Athletic at the Camp Nou and has racked up 13 goals, as well as numerous assists. A handful of those 13 goals will live long in the memory of the Barça faithful, especially the one scored in the 2014/15 Copa del Rey final, where he picked up the ball on the halfway line before weaving in and out of a handful of opponents before smashing the ball in at the near post. We have conjured up Messi’s best moments against Athletic at the Camp Nou so you can get in the mood for Saturday’s clash. Enjoy the video!